Goodbye pleated blinds, hello MCD American Duo shades! Finally we have had a chance to put the MCD shades to quite a bit of use and I must quite honestly say my initial level of enthusiam for and about the product is completely justified. They work well, they are effective, easy to use, and look magnitudes better than the old paper pleated blinds. Every night and morning when I push a couple of buttons to prepare the coach for bed, I am really, really glad we have the MCD shades. Literally some of the best money we ever spent on upgrading the coach. Thanks MCD for a great product!! 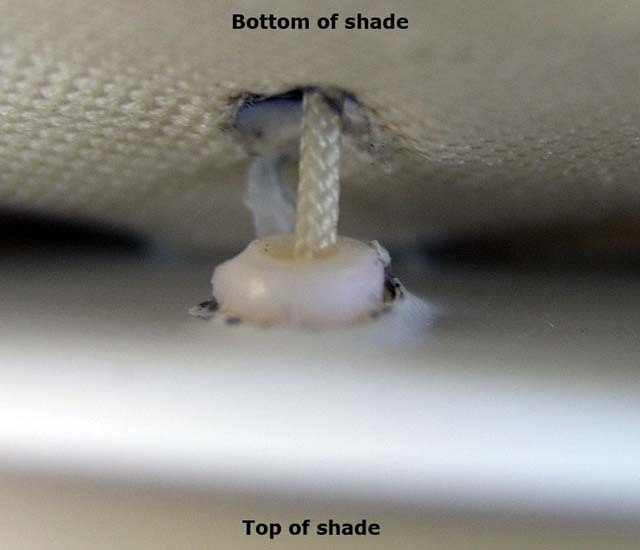 Page 4: - installation of the product, Part II - a few movies of shade movement (or lack of) and how effective the day shade really is! 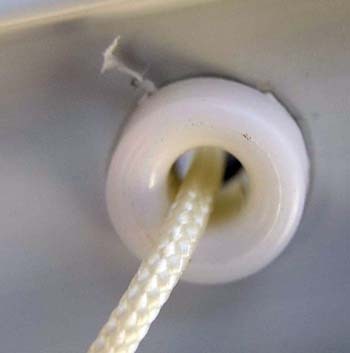 After suffering through years of broken strings in our factory-installed pleated blinds, we were really getting annoyed, I mean really annoyed at the lack of quality and the inconvenience of living with broken shades that we couldn't raise. One shade that was replaced under warranty, failed again about a year later. Ultimately we had about five blinds fail. 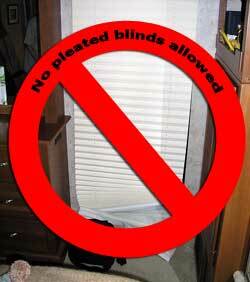 Then at the Winnebago Grand National Rally in July, 2008, I noticed a really nifty vendor display for a replacement to the much-maligned pleated blinds, MCD Innovations. I played with the shades for about five minutes, examined them closely, talked to the MCD rep, and decided right then and there, we were going to have those in our 2005 Itasca Horizon. It took a little over a year to work our plan, but mid-November, 2009 we are finally rid of the pleated blinds and have converted the coach to all American Duo shades. This is by far the most significant, useful, and practical upgrade we have ever done for our Horizon (and we have done a bunch.) It's even better than two shirt pockets! Note: you will notice in these pictures or movies (or you might not) a 'psychedelic' effect where the day shades seem to have a moving pattern. This is called a Moire effect. It is not noticable in person unless you have two screens pulled down you are looking through. At any rate, the effect has nothing to do with the MCD day shade - it would happen with any screening material and is an effect dramatized by photography. Just want to be clear about this. 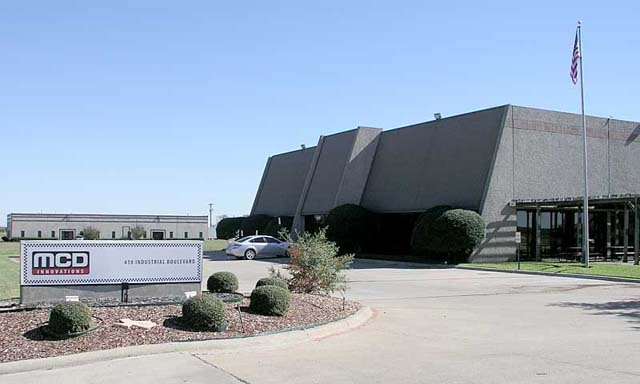 The front of the old MCD Innovations campus. They are growing and on July 26, 2010 moved into a larger campus. Offices (and customer service) in the front, production at the rear. By the way, MCD products are sourced almost exclusively in the United States. The motors and I think the control electronics are not US-sourced, but I think they are trying to bring that into our country. All assembly (and testing of course) are accomplished in this building. 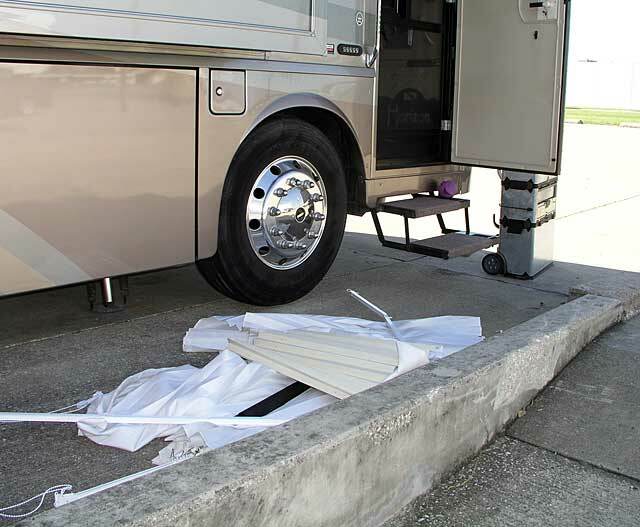 They build custom shades for customers like us, and supply many shades to a specific size for RV manufacturers to install as original equipment. Please click on the picture above (or here) for the exact location of the new MCD campus!